United's away kit for the season 2006/2007 was a based on a standard Hummel template. The shirt broke the recent sequence of white away tops, with United introducing a plain black design. 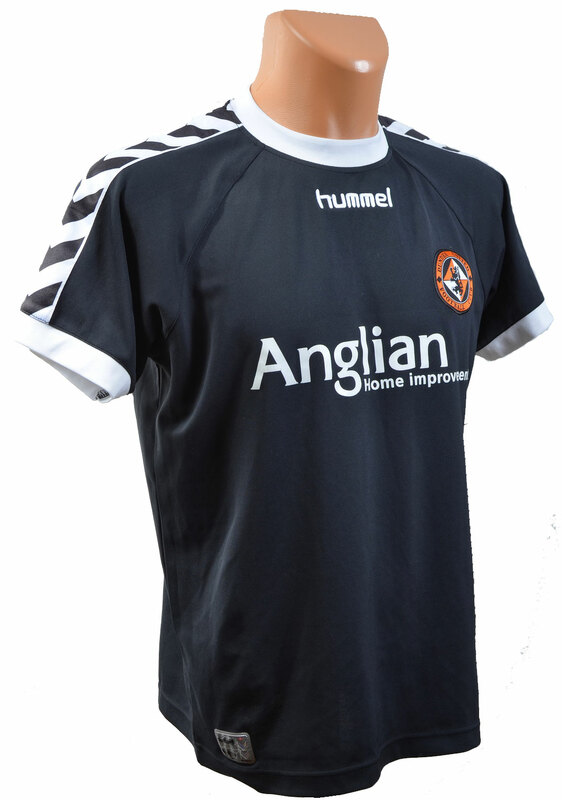 The sleeves had the recognisable Hummel chevrons, this time in black and white. The collar was a simple round neck design in white, with matching white cuffs. Although a relatively classic look, the simple design was actually very popular with the fans. It was the first year that a United shirt had a centrally located manufacturers logo, without the club badge also being centrally placed. 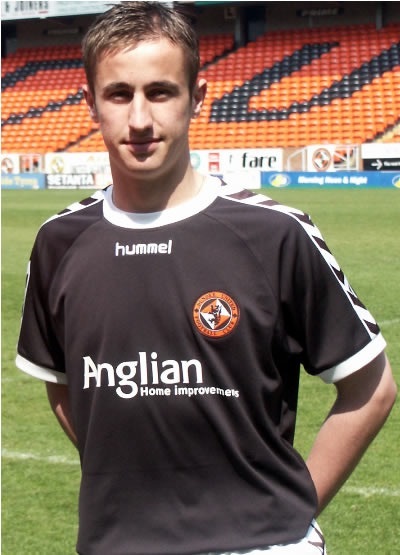 Anglian Home Improvements were the shirt sponsor this year, the first of a two year contract with United. Anglian were a leading UK home improvement company with extensive regional representation throughout Scotland. There was option of a third year extension to their shirt sponsorship contract but that never materialised. The shirt was first worn at Pittodrie on the 21st of October 2006 when United lost 3-1. Barry Robson being the first to score in the kit. They did make amends the second time the donned the outfit, beating Motherwell 3-2 at Fir Park. The black kit only got three outings that season with the final game being a great 4-2 win at Pittodrie. This was the game where the scoreline after just 17 minutes was 3-2 to United.